There are three base components to Office 365 and many other pieces that complete the Microsoft Office experience. 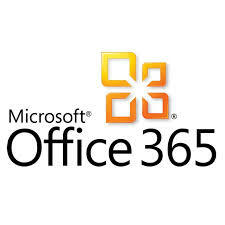 The base and primary focus of Office 365 is Microsoft Exchange Online. Exchange Online has many different configuration methods to suit organizations’ needs and integrate with the business. It can be configured as a standalone component without any other features or communication with an internal environment. Alternatively, Exchange Online can be configured as a full hybrid component that integrates with an organization’s current Exchange server environment on premise as a remote mailbox environment. As well as anywhere in between. The second component is Lync Online. Lync Online is an instant messaging and integrated communication component used to communicate not only internally, but it also has the ability to federate with other companies or domains that use it to offer a secure communication and collaboration environment. Lync Online can be also configured with an on premise PBX and Lync server. The last main component of Office 365 is SharePoint Online. SharePoint Online brings collaboration and organization to businesses. With endless possibilities and configurations, the possibilities are endless. The first question to ask is “How do I move, or how does this work with what I already have?” Although Office 365 can run completely independently of an organizations’ current infrastructure, that does not provide a seamless interaction for end users. Below are a few options for deployment and an overview of how they interact. Each additional option builds on the previous integration component, adding more features than the former. Active Directory Synchronization is the base tool for all on premise integration components. This tool is a one-way sync of active directory objects and attributes. It runs on a scheduled time frame (typically every four hours) but can be run manually. Active Directory Synchronization has the ability to day a one-way password push to Azure Active Directory Services; however, it has a delay and is not a true seamless interaction as the username is still the user’s email address/user principal name. Active Directory Federation Services (ADFS) is the next component of integration. It requires physical federation servers providing token services for Office 365 authentication—a true single sign-on interaction. By redirecting the authentication to either an on premise or cloud-based domain controller, active directory credentials are used to sign into the cloud. The final component of Office 365 is a full hybrid deployment. Exchange Online and on premise interact and transport mail between servers. This operates much in the same way as a multi-site exchange server deployment with a few key differences. The greatest discrepancy is the users in either side are seen as remote mailboxes; however, they can all communicate as they though they are in one organization. The second key differentiation is that only one mail endpoint is available for delivery. If you’d like more information on Microsoft Office 365, or you’re interested in Now Micro’s Microsoft consulting services, please click here.